Imagine floating in zero-gravity inside some polyhedron-shaped room. (Pick your favorite polyhedron, it doesn't have to be a regular platonic solid, it could be something with no symmetry at all.) Now imagine throwing a ball very hard at one of the walls and following its path as it bounces endlessly around the room. Will it ever get back to the place it started? If so, will it then go on to follow the same path all over again. I.e. will it get back to its starting point headed in its original direction? The path the ball takes around the room is called its orbit. 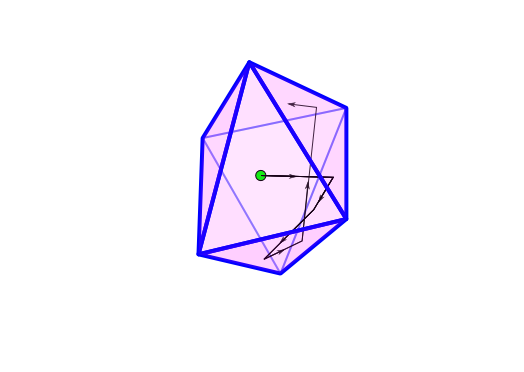 If it gets back to its starting point headed in its original direction, then its orbit repeats itself forever, and we call this a periodic orbit. 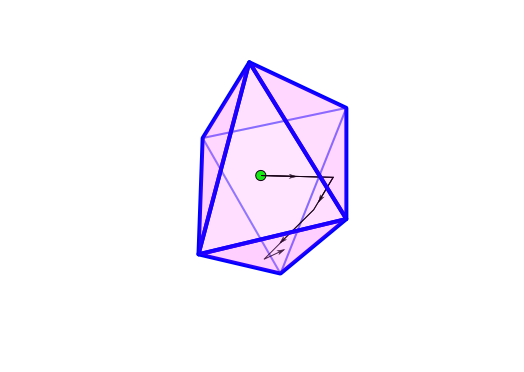 Does every polyhedron have some starting point and starting direction that gives a periodic orbit? Click on the image to get a feeling for the complexity that is possible when a ball bounces around inside an octahedron.